Torn between the choice of a former air force commander who promised to restore stability with an iron fist and an Islamist who pledged to implement “God’s law” if elected president, many secularists in Egypt turn to Tahrir Square to seek refuge from an excruciating reality. Observers in both the West and the Arab world should have understood then that the Islamist movement is the key to any major change in the country. Mainstream Arab and Western media portrayed the conflict in post-revolutionary Egypt as one between the Supreme Council of the Armed Forces (SCAF) and the liberal revolutionaries. Reality indicates that this is a major conflict but not a defining one. Recent results from the presidential elections coupled with the verdict in former president Hosni Mubarak’s trial reveal that a decades-old fight between the Brotherhood and the former regime is far from over and that it continues to dominate and shape the country’s political scene. 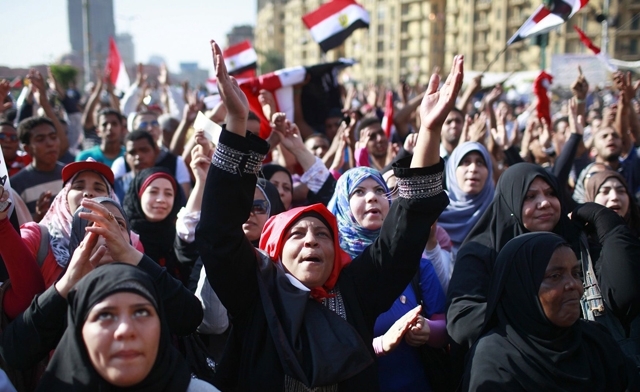 Egyptians are as polarized today as they were during Mubarak’s decades-old rule. The old regime, with its links to the military, has served the interests of many people who continue to support it. The Brotherhood relies on a wide base of staunch supporters and members linked in a web of complicated shared interests as well. The liberals who dream of a Western-style democracy find themselves on the periphery with the painful reality of having to choose between Mohammed Mursi and Ahmed Shafiq or boycott the elections.